Over the past two years, I have been creating a prototype for packaging solar energy efficiency solutions and power demand controls. This approach has allowed more projects to meet the financial criteria required for commercial customers to install solar than was possible with solar alone. Consulting in sales, marketing, and business management for Independent Power Systems in Colorado, I was tasked with growing the company and expanding the commercial division. As I talked with commercial building owners, I noticed a consistent theme. Most sought paybacks of 5 years or less with immediate returns of 8% to 15%. Even clients motivated to invest in solar had specific financial hurdles to overcome to move forward on a project. The situation is made more complicated as Colorado, like many states, has very low energy rates. In addition to high demand charges, electricity with public utility Xcel Energy costs about 4 cents per kWh. 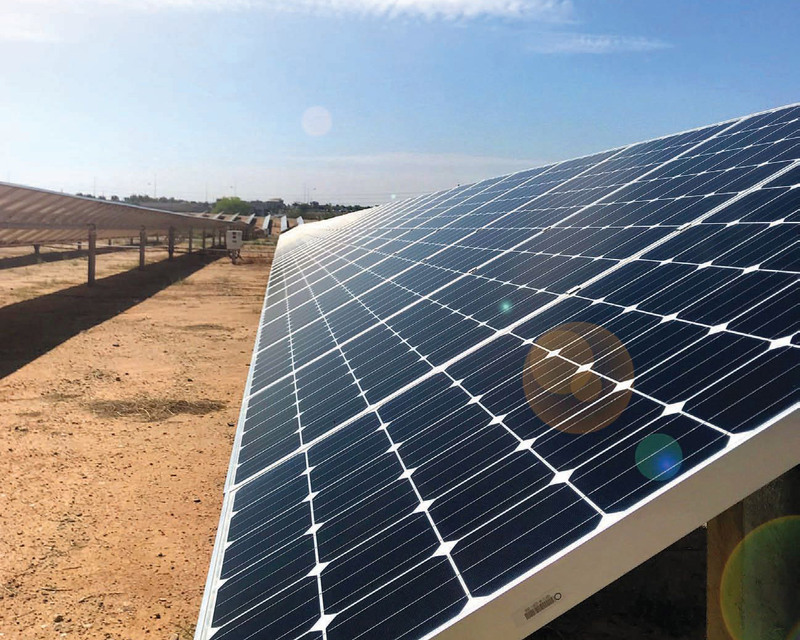 Xcel Energy currently offers a 4.5 cent per kWh Renewable Energy Credit for 25 to 500 kW systems (with limited availability), making solar at least within range for some commercial clients. The challenge of providing affordable solar solutions with these low rates is that, even with the RECs, a medium-sized solar-only-project (30 to 150 kW) will have an 8 to 10 year payback. Therefore, even with financing, the cash flows are still not positive compared to the expense. As a result, additional incentives and grants have been required to get to contract, and still, only the most motivated customers invest. Under these conditions, the success of commercial projects was based on identifying the most motivated customers and winning limited grants and incentives. That business model is neither scalable nor sustainable. Given the reality of low energy costs and the short-term financial constraints commercial customers have, how do we create solutions that meet our prospects’ financial constraints given the long-term ROI solar offers? As I looked for solutions, PACE (Property Assessed Clean Energy financing) became available in Colorado. PACE provides 20-year financing options for multiple energy retrofits in one project, offering the building owner the possibility of putting no-money-down and having payments below current monthly energy costs. This opened the door for a more holistic view of solar projects and drew on my years of experience as an energy efficiency consultant. Demand charges make up 30% to 60% of a company’s utility bill. Solar alone does not reliably reduce those costs. We were already pricing at the lowest margins possible and offering competitively priced high-quality products. The only option left was to add measures that could reduce energy and demand at a lower cost compared to the savings, making the overall project more profitable for the customer. The first opportunity I had to test the financial feasibility of multi-measures was with Boulder Nissan, a local auto dealership. The dealership had previously received a proposal for a solar-only-project that was not cost effective. As a result, when I approached them about solar options, I was told it was a “non-starter.” I requested the opportunity to do a feasibility study to determine if we create a multi-measure solution that would, in the end, cost them nothing out of pocket (compared to what they were already paying). Through our analysis, we found we could fit 50KW of solar on the roof, which would cover almost 20% of their usage. We then brought in energy efficiency partners who evaluated the envelope, HVAC, and lighting. 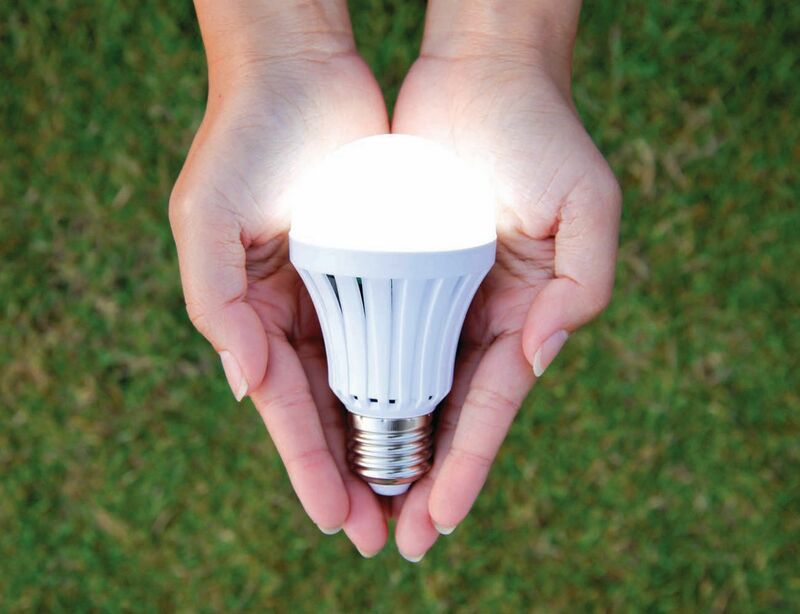 In the end, an LED retrofit made the most sense, since lighting was a large part of the utility bill. The LED project reduced the dealership’s energy use by an estimated 40%, meaning solar would cover almost 35% of their energy usage. The energy finance models showed that solar alone had a payback on year 11. Installing LEDs, the project cost 50% more, but brought the payback to year 7 by reducing kWh and demand. Additional rebates and grants brought the payback to year 5. Using PACE and the LEDs we predicted a zero down- payment and positive cashflow from day one. We met the client’s financial objective and closed the contract. While we achieved our goals, it is important to note that even with financing and LEDs, we barely cleared the customer’s financial constraints. I knew if we were to be competitive and successful in creating a replicable model, we needed to utilize other cost-saving measures, such as demand control. Many utilities have demand charges based on the highest 15, 30, or 60 minutes average of instantaneous energy use measured in kW per month. Power demand controls limit and orchestrate the operation of loads such as AC, refrigeration, compressors, electric water heating and lighting to limit and cycle the run times reducing total demand, while still maintaining comfort and temperatures. Seeking cost-effective power demand controls, I discovered Dencor, a Denver-based company that has been a leader in demand controls for residential and commercial customers for over 30 years. We modeled and installed these controls on several projects, providing a significant reduction in demand charges on the utility bills. At a fraction of the cost of solar and batteries, Dencor’s SolarIQ advanced demand management and building automation system has brought more value to our customers and helped us meet their short-term ROI requirements. Adding these controls has allowed us to contract more commercial projects. 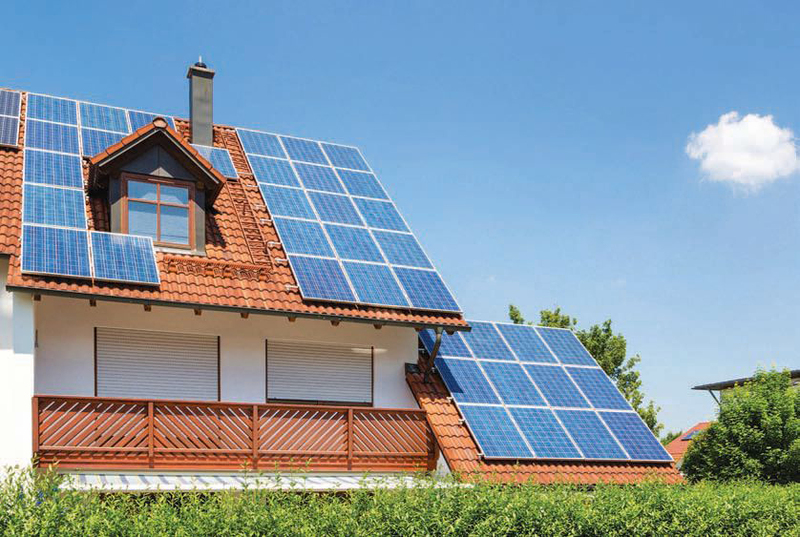 Solar companies are uniquely positioned to drive sustainability while increasing the adoption of solar by offering multi-measure energy retrofits. Solar is still novel enough to get people’s attention. From my experience as an energy efficiency consultant, I found that commercial building owners will invest in energy efficiency when there are incentives or they have to, i.e. when code requires or when a remodel is needed. With solar, there seems to be a greater motivation to do something if it means making energy generation as efficient and cost-effective as possible. We must begin to see ourselves as being more than “just” solar companies. Solar companies need to shift from selling the commodity to selling the solution. This does not mean that a company has to start doing all the work in-house, but it does require becoming knowledgeable in energy efficiency, controls, and batteries, and adept at working with partners and subcontractors. This requires evaluating, modeling, packaging, proposing and financing the projects in new ways. The good news is there are tools and systems available for modeling and estimating multiple measures such as HOMER, and Energy Toolbase. We must begin to see ourselves as being more than “just” solar companies. Solar companies need to shift from selling the commodity to selling the solution. Change is hard. Successful solar companies might not feel the need to go beyond their comfort zones. However, this industry is changing constantly, and if we are not always in the mode of learning, growing, and experimenting, we will be left behind. Newly mandated tariffs and taxes changes in the US will make this an even more important focus for our industry. 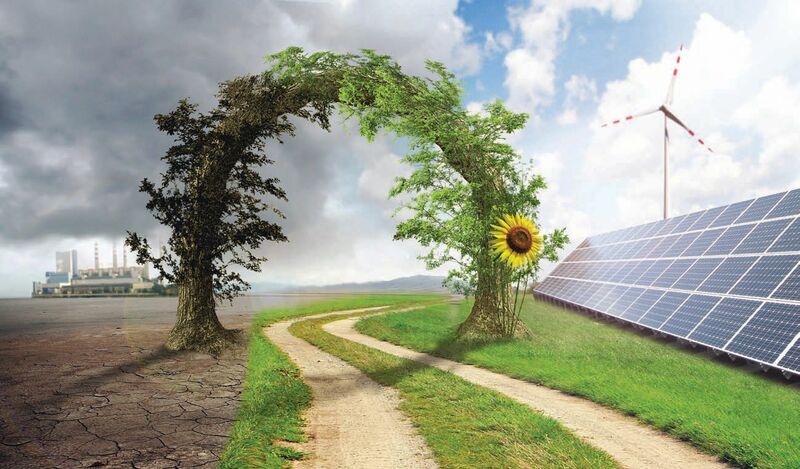 In the end, our collective mission to transition to clean renewable energy can success, if we make solar accessible to our clients by creatively meeting their financial criteria. Diane Dandeneau is the CEO of IPOWER Alliance, a project development and consulting firm focusing on creating solar, efficiency and controls projects that provide the highest financial returns – making solar possible for more customers. www.ipoweralliance.com.